Since 2014, the FCPA Institute has elevated the Foreign Corrupt Practices Act knowledge and practical skills of hundreds of professionals from around the world through active learning. This page describes the live two-day FCPA Institute and more information about the FCPA Institute Online, launched in 2019, is available here. At a typical FCPA conference, participants are a face in the crowd and information is presented in a disjointed fashion by dozens of speakers appearing on multiple panels. The end result is that participants have little opportunity for actual engagement and active learning. The FCPA Institute is different as information is presented in an integrated and cohesive manner by an expert instructor with FCPA practice and teaching experience. Moreover, the FCPA Institute promotes active learning by participants through issue-spotting videos, skills exercises, small-group discussions, and the sharing of real-world practices and experiences. To best facilitate the unique learning experience that the FCPA Institute represents, attendance at each FCPA Institute is capped at 25 participants. The FCPA Institute thus elevates the FCPA learning experience for a diverse group of professionals and is offered as a refreshing and cost-effective alternative to a typical FCPA conference. The goal of the FCPA Institute is simple: to develop and enhance substantive knowledge and practical skills relevant to the FCPA, FCPA enforcement, and FCPA compliance best practices in a stimulating and professional environment with a focus on learning. How settlement amounts in an actual FCPA enforcement action are often only a relatively minor component of the overall financial consequences that can result from FCPA scrutiny or enforcement because of the FCPA's many other "ripples." Learning FCPA compliance best practices in terms of structural organization, implementation, and monitoring including oversight responsibility and resources, internal reporting and investigation, and periodic assessment and continuous improvement. The FCPA Institute brings together in a small-group setting like-minded professionals from a variety of disciplines. In this way, the FCPA Institute facilitates actual engagement and active learning of FCPA topics through dynamic discussions and sharing of real-world practices and experiences. The FCPA Institute presents the FCPA not merely as a legal issue, but more properly as a business and financial issue that needs to be on the radar of various professionals. The FCPA Institute is thus ideal for a diverse group of professionals such as in-house and outside counsel; compliance professionals; finance, accounting, and auditing professionals; business executives and others seeking sophisticated FCPA knowledge and practical skills. At the end of the FCPA Institute, participants can elect to have their knowledge assessed and can earn a certificate of completion upon passing a written assessment tool. In this way, successful completion of the FCPA Institute represents a value-added credential for professional development. Prior FCPA Institute participants have earned Continuing Legal Education (CLE) credit for attending the FCPA Institute and the FCPA Institute - Minneapolis will be applying for CLE credit. In addition, previous FCPA Institute participants have successfully obtained continuing education units from the Society of Corporate Compliance and Ethics for attending the FCPA Institute. Leading law firms and leading companies across a variety of industry sectors have chosen the FCPA Institute to elevate the FCPA knowledge and practical skills of their employees. Set forth below is a sampling of what FCPA Institute “graduates” from around the world have said about their experience. "The FCPA Institute was one of the best professional development investments of time and money that I have made since law school. The combination of black letter law and practical insight was invaluable. I would highly recommend the FCPA Institute to any professional who has compliance, ethics, legal or international business responsibilities." (Norm Keith, Partner, Fasken Martineau, Toronto). Professor Koehler has: testified before Congress on the FCPA; conducted FCPA investigations around the world; negotiated resolutions to FCPA enforcement actions with government enforcement agencies; and advised clients on FCPA compliance and risk assessment. Professor Koehler’s FCPA insights are further informed by having read and analyzed: the FCPA’s entire legislative history; every FCPA enforcement action; and every FCPA judicial decision. 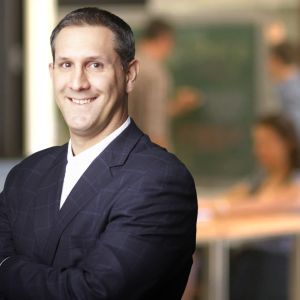 In addition to being an FCPA expert, Professor Koehler is a dynamic teacher who uses multiple learning devices to convey information, practical skills, and provoke thought. Day one of the FCPA Institute begins with registration at 8 a.m. and instruction from 8:30 a.m. to 5:00 p.m. Day two of the FCPA Institute begins at 8:30 a.m. with instruction until 4 p.m. The optional written assessment tool to earn the certificate of completion will be given at 4 p.m. and the FCPA Institute will conclude at approximately 4:30 p.m. Further specifics will be provided to registrants in advance of the FCPA Institute. Any cancellations received one week prior to the FCPA Institute will be refunded in full. FCPA Institute registrants may substitute another individual to attend the FCPA Institute. 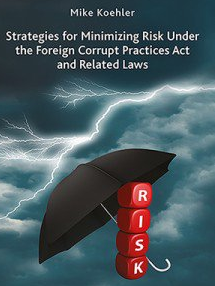 The primary source material used at the FCPA Institute is Professor Koehler’s book “Strategies for Mitigating Risk Under the Foreign Corrupt Practices Act and Related Laws” which is included in the FCPA Institute registration fee. Written in a clear and accessible style, this book elevates knowledge and skills through a comprehensive analysis of all legal authority and other relevant sources of information and guides readers through various components of compliance best practices from the fundamentals of conducting a risk assessment, to effectively communicating compliance expectations, to implementing and overseeing compliance strategies. In addition, FCPA Institute participants will receive a recent activity supplement and will learn from high-quality training videos and other original source documents on a variety of topics. FCPA Institute participants are responsible for their own travel and hotel arrangements. A continental breakfast, lunch and light refreshments will be provided both days of the FCPA Institute. Video or audio recording of the FCPA Institute is prohibited. The FCPA Institute is not a substitute for specific, fact-based legal advice as to any FCPA issue. The topics discussed in the FCPA Institute do not constitute legal advice and participants acknowledge that no attorney-client relationship results from attending the FCPA Institute. There is no guarantee that FCPA Institute participants will pass the written assessment tool used for certification. 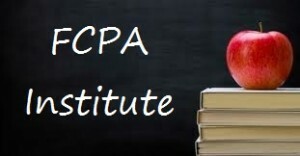 FCPA Institute is a service provided by FCPA Professor LLC and FCPA Institute is a service mark of FCPA Professor LLC.